Voters will be entered into our prize draw to win a Garmin Quatix 5 Saphire smartwatch, worth £730! 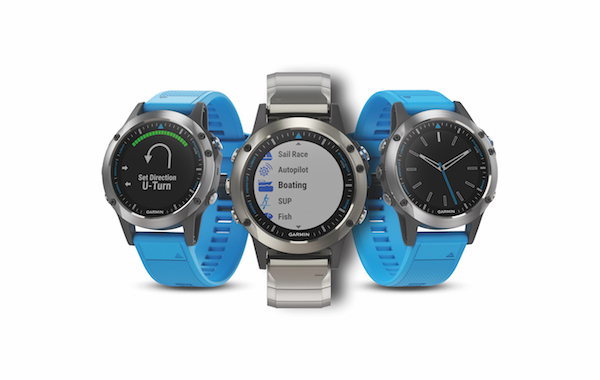 Specifically designed for the water, the Quatix® 5 multisport GPS smartwatch provides comprehensive connectivity with compatible Garmin chartplotters and other devices and includes advanced fitness features and wrist-based heart rate monitoring. One lucky voter will win this fabulous prize! This year, voting is open to readers of Yachts & Yachting and Sailing Today, so every vote counts. Make sure you show your support by voting today! Voting closes at midnight on 23 November 2018.